Traditional security issues in the Asia-Pacific, such as tensions on the Korean Peninsula or disputes over the South China Sea, consistently attract the attention of policymakers within the region and abroad. But their consequences for ordinary people are often dwarfed by the fallout from nontraditional security (NTS) events, such as climate change, resource scarcity, infectious diseases, natural disasters, irregular migration, famine, people smuggling, drug trafficking, and transnational crime. For countries in ASEAN, the human and economic losses from NTS threats can be staggering. For countries in the Association of Southeast Asian Nations (ASEAN), the human and economic losses from NTS threats can be staggering. Moreover, economic and social costs from NTS threats consume resources that otherwise could be channeled toward economic growth and social welfare. Historically, there have been bilateral and multilateral attempts at cooperation on NTS in the Asia-Pacific, but they have not been enough. 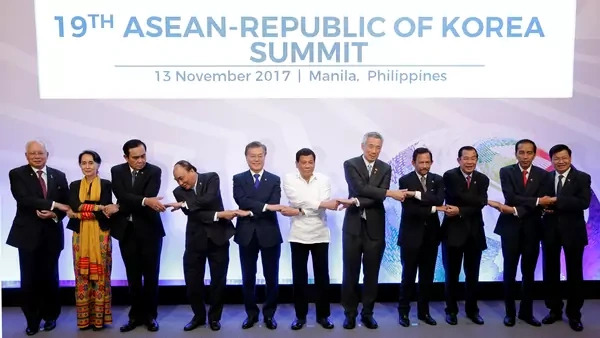 Trilateral cooperation among the United States, ASEAN, and South Korea would benefit not just the participating parties, but also the region as a whole. Such cooperation would allow South Korea to contribute to the region and is consistent with the Moon Jae-in government’s desire to play a greater foreign policy role beyond the Korean Peninsula. It would also advance the U.S.-South Korean alliance and give South Korea experience that could be used in future NTS crises in North Korea such as famines, natural disasters, or pandemics. To do so, the United States, ASEAN, and South Korea should start by focusing on humanitarian assistance and disaster relief and transnational crime. This cooperation could lead to progress on issues such as environmental protection, climate change, and public health.